With 18 campsites and plenty of hiking in the area, Guanella Pass is a great camping destination with an amazingly scenic drive. 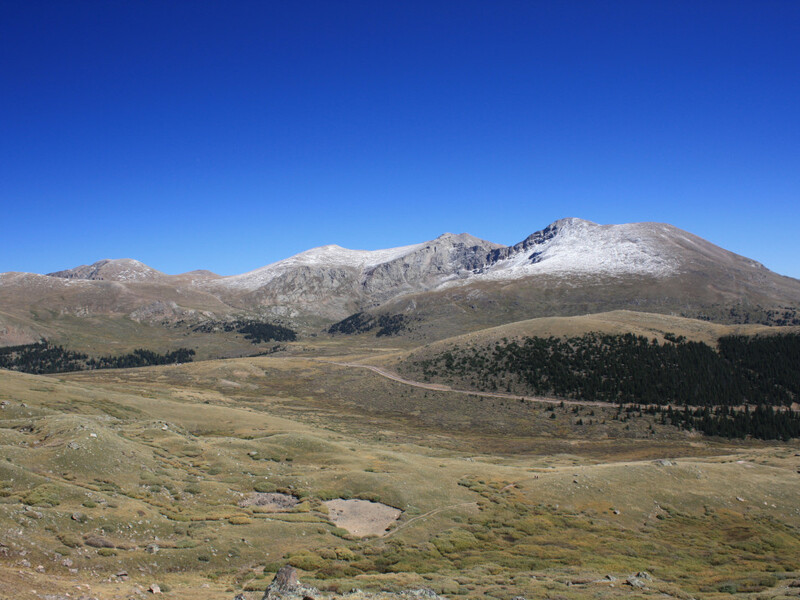 Camping at Guenella Pass can be done in the National Forest or at several campgrounds. This is also the way to get to Mt. 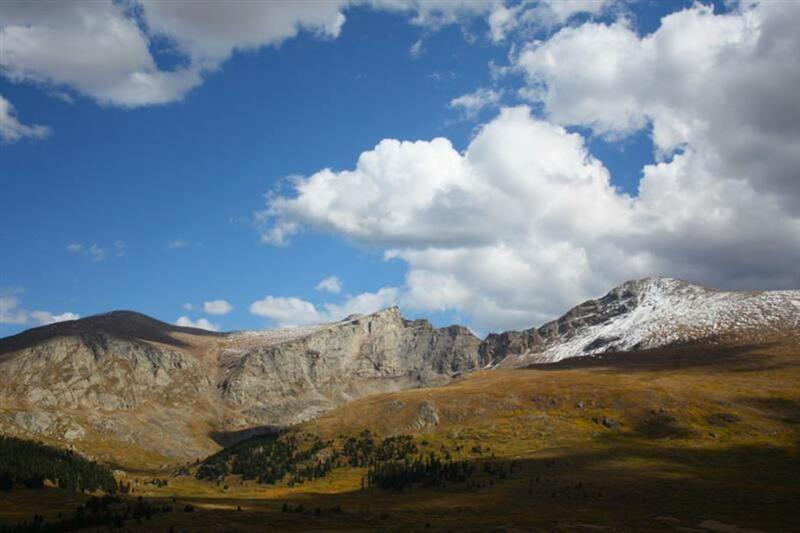 Bierstadt -- commonly referred to as the easiest of the Fourteeners (Colorado’s 54 peaks above 14,000 feet). Motorcyclists or off-roaders can continue down to 285 and take the southern route back to Denver for a spectacular all-day loop. The campground has about 18 spots for all kinds of camping (including RVV) that have to be reserved in advance. From here you can fish, photograph, hike, etc.Be aware that you’re surrounded by alpine tundra and be sure to travel lightly. Bring sunscreen, as the ridge is exposed to the elements. 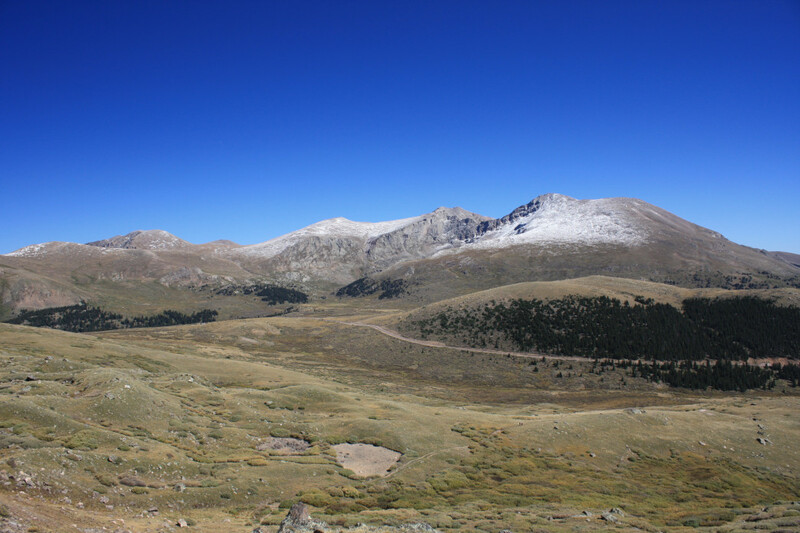 Campgrounds around Guenella Pass access a number of areas: Mount Bierstadt, Mount Evans, the Waldorf Mine, Square Top Mountain and other peaks. The views are gorgeous, the summer access is easy and it's a wonderful place to spend a night or two. Car campers who want to bag peaks in the area will be especially fond of the camping found around Guenella Pass. The drive to Guanella Pass is one of the closest scenic drives to Denver, where you can get up to high altitude quite quickly without having to work for it at all, and the terrain up there is amazing. Just head west on I-70 and Exit 228 at the town of Georgetown, one of the original gold mining towns developed at the turn of the century. Follow the main road through town, where it turns into CR 381 (Guenella Pass Road) where you’ll wind your way up above 10,000 feet to the Guanella Pass campground at 10,900.